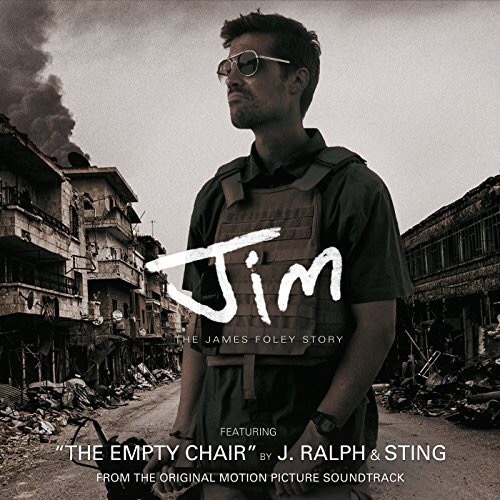 When I heard about the backstory surrounding J Ralph and Sting’s musical composition, “The Empty Chair“, I was moved to tears before I had even listened to the song. Based on the heroic life of American journalist, James Foley, this song captures the sadness and the heartbreak everyone felt when this brave young man lost his life to a beheading by ISIS in 2014. One can only imagine the suffering and helplessness this young man endured before he died. One. Can. Only. Imagine. Last year, James Foley’s childhood friend, Brian Oakes, produced a documentary film which focused on his friend’s life and ultimate legacy. It premiered at Sundance and aired on HBO last year. It explores the passion and determination of James Foley in exposing the crises in dangerous places like Syria and the lengths he took to achieve his goal. This heartfelt song appears at the end of the documentary and it will make you weep. Especially if you watch the film. Either way, Sting’s nuanced and expressive voice and his quiet, poignant delivery will give you pause as the words move with quiet momentum to the core of your heart. Although there is a ton of hype surrounding Best Picture Nominee, La La Land, which is unquestionably a creative and fantastic film, I hope that “The Empty Chair” does win best song, not only because it is sublimely crafted, but also because it delivers a timely message in today’s political climate. You can download The Empty Chair on ITunes or stream it on Apple Music. And SCPR.Org published a wonderful story with comments from the composers. A must read. Have a listen below or download or stream from the above links.